The BEST time to travel is now – 2018! There is always time to think about tomorrow…seek our dreams tomorrow…connect with our family tomorrow. We have excuses for why tomorrow would be better. But tomorrow isn’t promised to anyone. There might be too much work, too much kid stuff, too “much” things to take care of, too much to squeeze in today. Just too much of everything! It is easy to feel overwhelmed. There might not be enough of something to make you feel like you shouldn’t travel. Not enough money, someone isn’t fit enough, someone isn’t skinny enough.. Your dreams can wait, right? But, we aren’t promised tomorrow. I bet you know someone who’s life was cut too short. Sadly, we all do. The circle of life includes the end of it. Time waits for no man and it won’t wait for you either. At the end of life, patients in hospice care often have true clarity of thought. Looking back over their lives they speak of happiness and regrets. A common regret is wishing they had lived a life true to themselves. Are you holding back? What would your TRUE self-like to do? Think about how you can capture that feeling in the life you have now. Consider truly inspirational travel for yourself and your family. Feeling connected is important. Spending time together, talking, and making shared experiences to look back on and laugh about are truly some of life’s joys. Doing things together helps forge a tight bond, one that can stand the test of time. Knowing you’ll connect with your family in ways you haven’t before made for really inspired travel! While a lot of photos that use the hashtag YOLO are of people doing really stupid things, lol, the concept is really a good one. You really do only have one life and making it a great one is an excellent choice. Don’t forget the kids are watching you at every turn. Teach them it is important to plan for enjoying your life! Enjoy the wonder of today. Soak it up. Seize the day! Make it the best journey ever! Science is even on your side as the health benefits of travel are many. Read more on how travel can benefit your health! Where should you travel in 2018? Consider adding to your bucket list and include India. Top destinations to travel this year! Cebu, Philippines – Cebu is not only a popular destination for beach-bums and mountaineers but it also hosts various tourist attractions even without going far from the city. It is your one-stop destination if you want to take your entire family to a multi-national tour without taking your passports with you. Read more about traveling to Cebu, Phillipines with Ms Meeting Adventures! 2. Iceland – They say don’t go chasing waterfalls, but if you ask me that is horrible advice because chasing waterfalls in Iceland was one of my most favorite trips yet! Check out my Ultimate 3.5 Day Iceland Itinerary full of majestic waterfalls, geysers, wild Icelandic ponies, black sand beaches, and more beautiful things to help you plan the trip of a lifetime! Read more about traveling to Iceland with Bee Anything But Boring. 3. Boston, MASS – There is SO much to see in this historic town. Only have 24 hours? No problem there is still a lot you can enjoy! 4. Austin, TX – Hot on the radar for travel in 2018 is the capital of Texas, the Lone Star State. Lucky for me, I’m a Texas girl and can tell you all about it. 5. Bled, Slovenia – Bled in Slovenia is a fantastic destination for the lovers of the great outdoors. There are numerous hiking trails, from easy leisurely walks to the more adventurous uphill climbs, as well as opportunities to cycle or rent a boat and go rowing on the lake – all that against the backdrop of landscapes guaranteed to take your breath away. 6. Budapest, Hungary – Budapest is one of the most beautiful cities in Europe and definitely worth a visit. Being called the pearl of the Danube river, the Hungarian capital strikes with a rich history, gorgeous architecture, jaw-dropping views and tons of things to do and see. All that put Budapest among one of the most enticing destinations in the world. 7. Montenegro – Montenegro is becoming a popular destination in Europe with travelers attracted to the beautiful city of Kotor and surrounding bay. We took a day trip from neighboring Croatia to discover the delights of this stunning country. Make your dreams happen TODAY! If traveling is part of your dream – part of the life you want to live, then you have come to the right place! When to travel? Now! Where to travel? How about these cheap spots! Cheapest places to visit in 2018. Connect with YOUR family during this year’s family vacations. 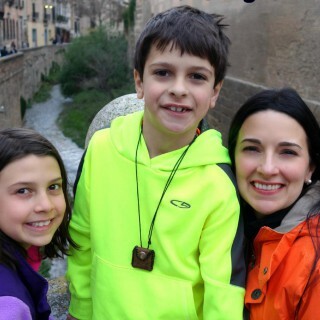 Read how to strengthen family bonds with travel. All the tips and information you need for the trip of a lifetime are here on this website. If you can’t find what you need, just ask! Read to the kids before you travel and get everyone talking about this year’s wonderful vacation. Where will you travel in 2018? CLICK BELOW on any destination for a list of kids’ books on that vacation place! What great motivation and reminders we all need!! Great and motivating post! I definitely follow the YOLO idea, I am not looking to far for future and I am just booking my holidays 🙂 Ive already plan some of my trips for 2018 but your recommendations are tempting 🙂 I would love to visit Iceland and Philippines! The top 2 destinations you have listed are also the top 2 destinations on my list for 2018! Although it is not only Cebu that I want to visit, I am happy to go to ANY part of Philippines (Coron and El Nido look pretty awesome too). And Iceland has to happen this year, especially to see the Northern Lights. I completely agree with YOLO (you only live once) and the time to travel is NOW. What fun! You are going to have an amazing 2018!! Traveling is one of the best gift of life I can give to myself. I’m now a changed person for good. I’m glad I got the YOLO fever early. I’ve got 2018 all booked and will try my best to tick all boxes. Thanks for the inspiration. I spent so long avoiding travel – I was so worried about not having the money or patience. What if I get into trouble or hate it? I wasted so many years but I am so glad I got over my fear and started Travel! It is always the right time! This is some simple yet motivating advice. Where can I get more information about cheapest countries to visit in 2018?